One year ago, communities like Pedregal Grande, Peru, were under water. Families lost nearly 80 percent of their belongings and sat stranded on their rooftops, praying for help. But then, you came in. Because you responded in time and gave through the Disaster Relief Fund, thousands of people affected by the flood have had their lives and homes restored. 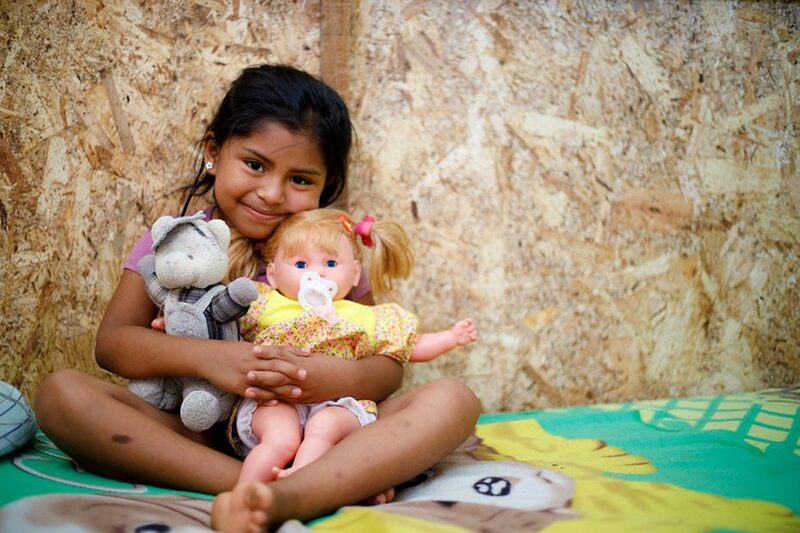 Thank you for supporting these children and their families during a time when they needed you most! Some of the children you helped wanted to share their stories. 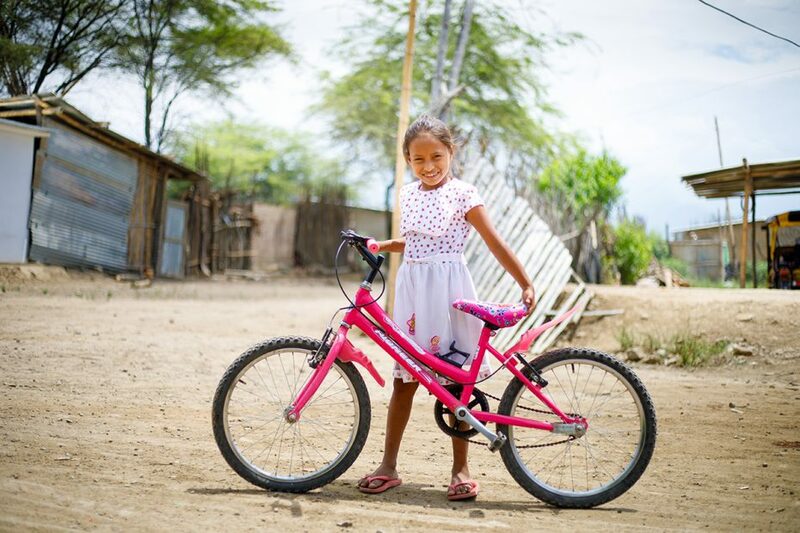 Adela and her family received support from their local church and Adela’s sponsor that gave them hope for the future. Christian and his family barely escaped the flooding by running to high ground. Now, they have a new home, animals and toys. 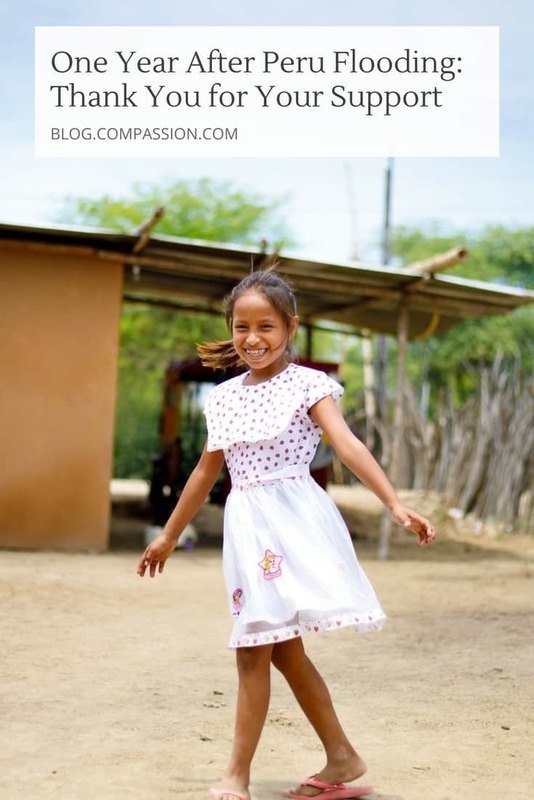 “I am very grateful for all the help and support we have received from the Compassion staff. I am sure that if it wasn’t for their help, we wouldn’t have what we have today. Now, Christian can play happily with his toy cars,” said María, Christian’s mother. 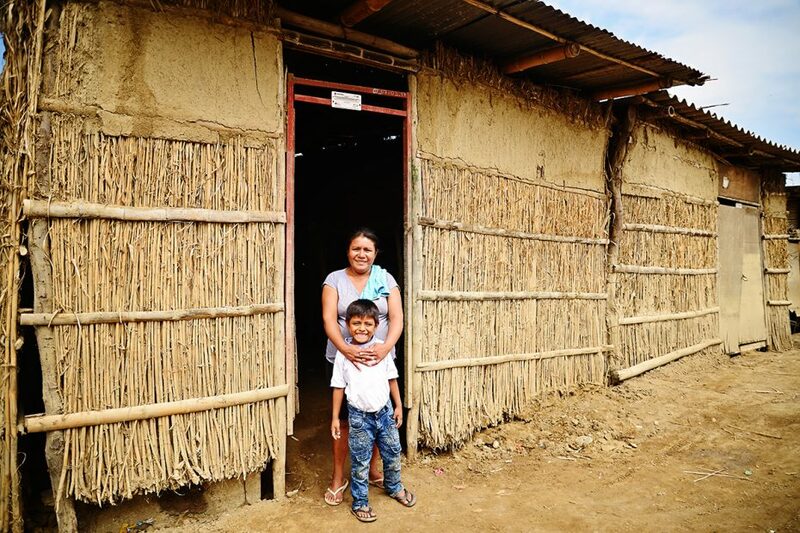 Thanks to the support of her local church and the Disaster Relief Fund, Melany’s house was fully reconstructed. 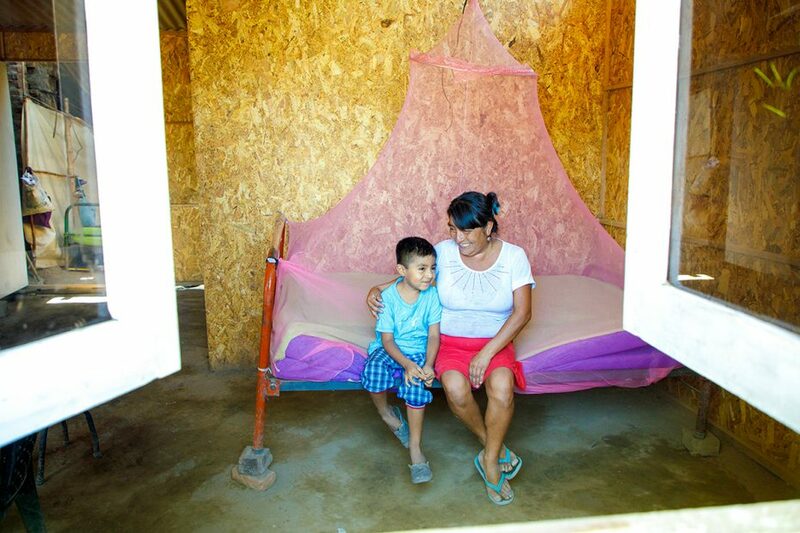 Her family received a new bed, mosquito nets for protection, and food baskets to help them in this time of recovery. Inside their house are the sounds of the animals they are now raising. 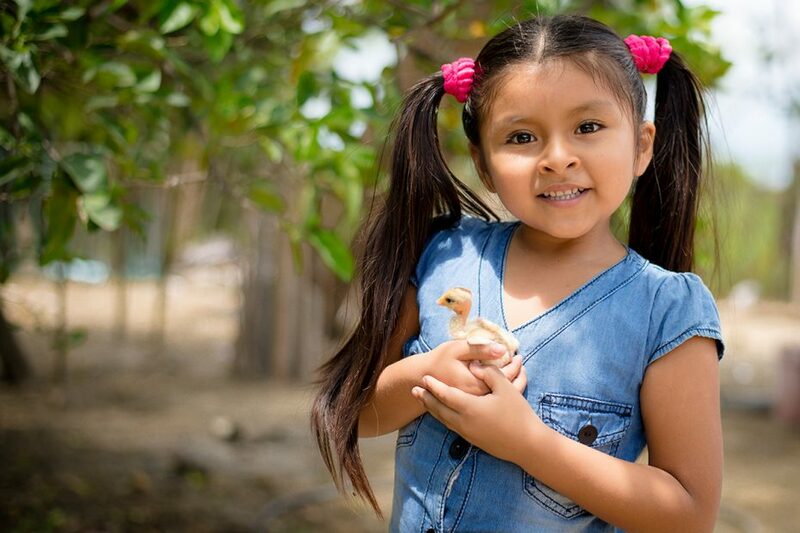 Little chickens run around Melany’s feet, and she feeds them with a big smile on her face. The sadness and desolation of losing all their animals during the flood is now over. 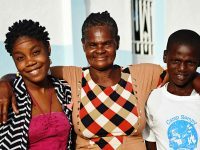 Their hope as a family is stronger than ever. Jordan says he loves the new bed he was given and that he’s no longer afriad. “We are thankful for the program’s support. When we returned, the church provided us with food supplies, medicines, bed and mattress for Jordan, a mosquito net, and cleaning supplies. And they encourage us not to lose our hope,” said Jordan’s mother Maria. The trauma of living through the flooding continues to fade away for Yukari. Once again, her cheerful and playful spirit is coming to light. She has even been gradually recovering all the toys she lost during the flood. 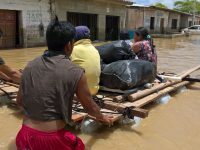 Thank you for responding on time for the flooding in Peru last year, which affected the children who shared these stories and thousands more. 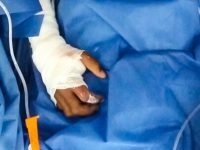 You can provide immediate aid whenever disaster strikes through our Disaster Relief Fund. Photos and stories collected by Jonatan Ruiz. Cameron writes for Compassion and helps nonprofits reach their fundraising goals with digital marketing.